One of our favorite forms of expression is through flexing our artistic muscles. Whether it be through photography, crafting, digital design or one of the many other art forms we enjoy (and there are many), we are both highly visual girls with a love for color and design. 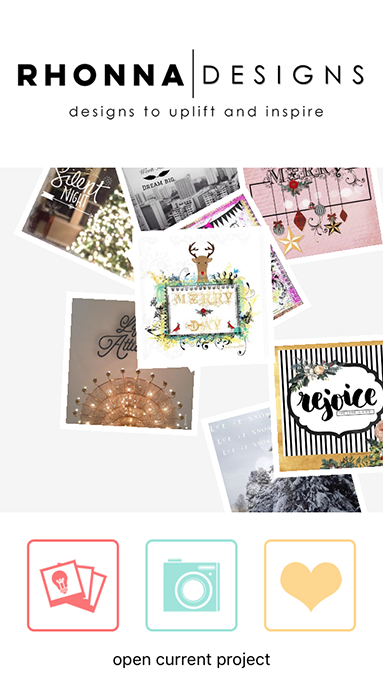 So it just makes sense that we love photo apps, especially the Rhonna Designs suite of apps! The trio of apps, created by the effervescent artist Rhonna Farrer, consist of Rhonna Designs, Rhonna Designs Magic, and Rhonna Collage. 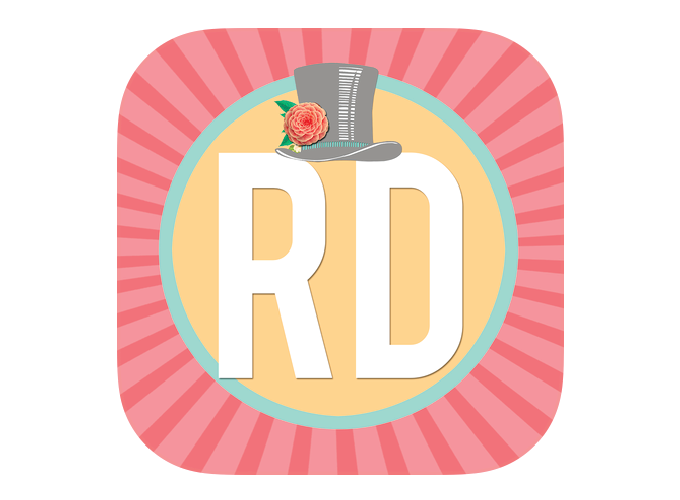 Today we’ll be sharing about the main app, Rhonna Designs, as this is a powerful yet easy app to work with. 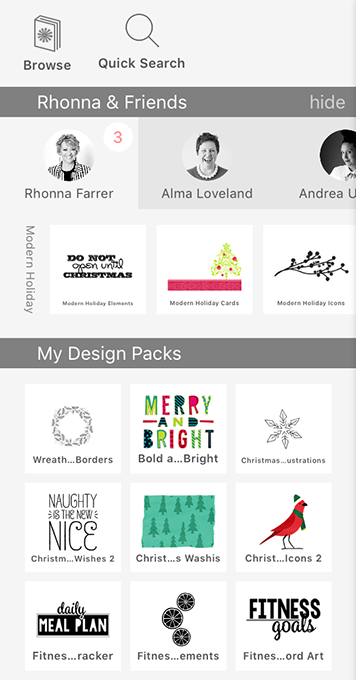 When you open the app you’ll see a gallery of designs that have been created by app users. They are awesome inspiration! At the bottom of this page you’ll see three icons for (1) loading a photo or background from your library, (2) taking a photo and (3) watching video tutorials. When you choose the far left, coral colored icon (loading a photo or background from your library), a new page will open with some backgrounds available for choosing as well as photos from your camera roll. If you follow @rhonnafarrer on Instagram (which we highly recommend), the you’ll also have access to special backgrounds she releases occasionally via IG that you can save to your Rhonna Designs library. There are also backgrounds that you can access via her Rhonna Collage app and save to this library also. Isn’t that awesome?! Along with backgrounds, the Rhonna Designs app also has a huge assortment of fonts to use. Some are included while others are specialty fonts that you can in-app purchase. The app also shows you amazing font combinations for when you want to pair two fonts together. The photo below shows you one example, but there are many combos to choose from. 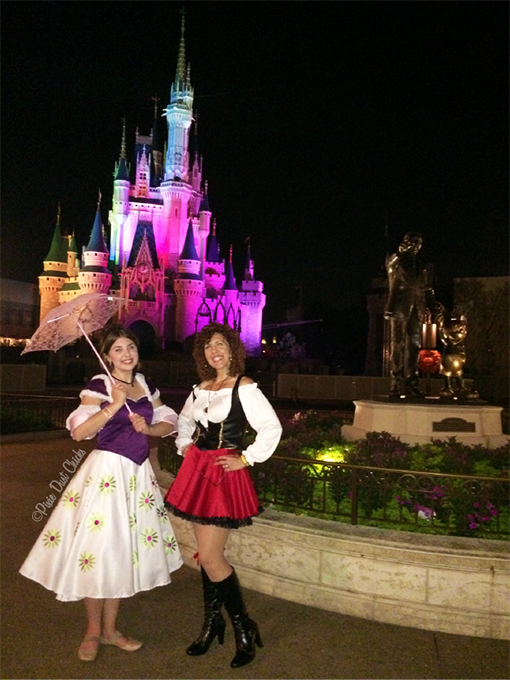 The next area of fun (and one we adore!) is My Design Packs. 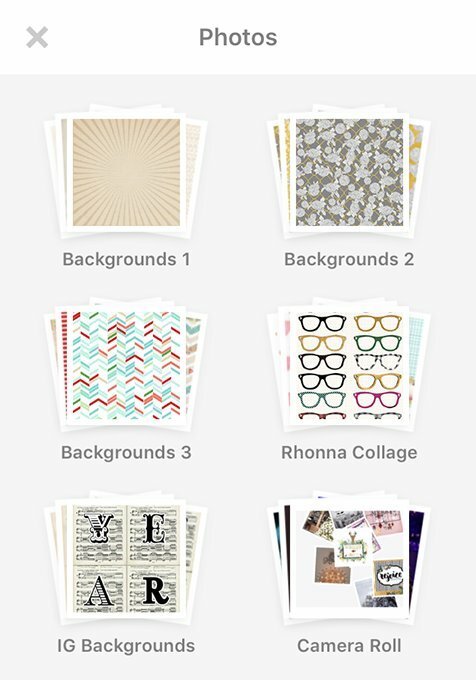 On this page of the app you have design packs that contain certain theme elements that you can use alone, layered with other design elements and/or fonts, or on your own photos. This section is so fun because there are tons of different elements from animals to seasonal designs to scrolls and ribbons and beyond. 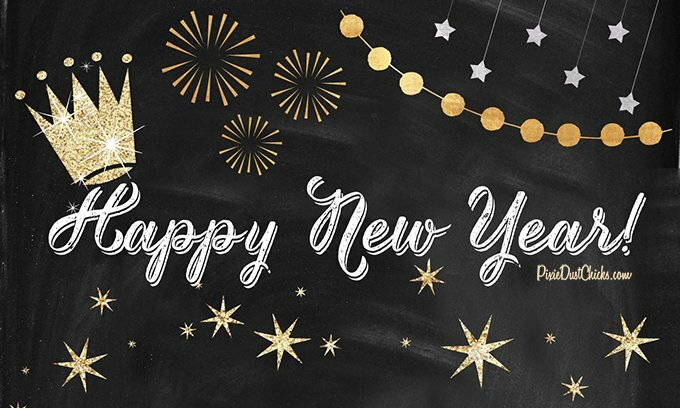 Plus, you can in-app purchase extra design packs from Rhonna and other designers to add to your design packs to provide a plethora of design choices. Mixing and matching makes it so the options are endless! So as you can see, the Rhonna Designs app is a fun yet amazingly versatile photo editing and art creating tool. All of the elements from Rhonna’s app are at your use, however, if you plan to use it for commercial purposes (such as selling art) you’ll need to contact Rhonna Farrer for a commercial license. We highly recommend watching the video tutorials (available via the app) to fully understand the app’s capabilities. Here’s an example of a piece we made recently using the Rhonna Designs app. In it we used 6 different design elements and 1 font from the app (our watermark was created in Illustrator). This is one of our favorite photo apps! Isn’t it fantastic?! We hope you’ll love it too! 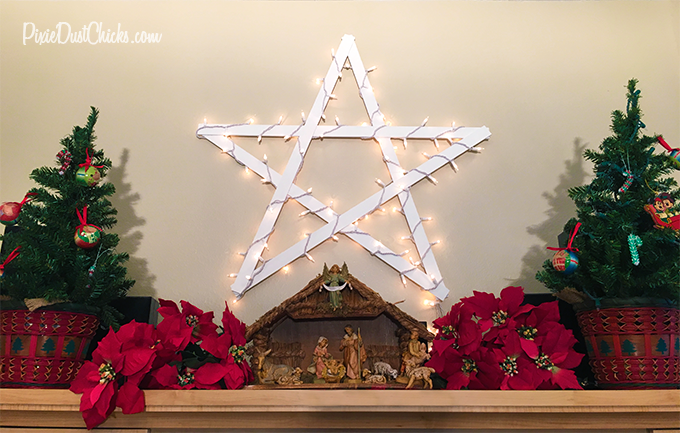 DIY: Easy Lighted Christmas Star! Christmas for us is full of tradition! Playing Christmas music, decorating our tree, baking cookies, hanging lights on the house and do-it-yourself decorations. Wait, DIY, you say? Yep, we love getting crafty at Christmas! Our endeavors are not enormous (so no home makeovers), but we might dabble in moderate DIY adventures such as little ornaments, painted signs, or fun holiday decor like this beautiful lighted Christmas star. Isn’t it pretty?! And it’s so easy!! So come on, and we’ll show you how to make this for yourself!